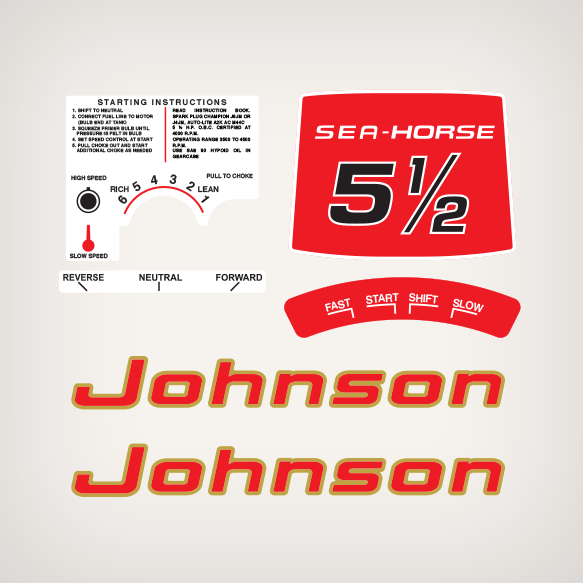 Johnson 5.5 hp decal set replica for 1961 Outboards. 4000 R.P.M. OPERATING RANGE 3500 TO 4500 R.P.M.